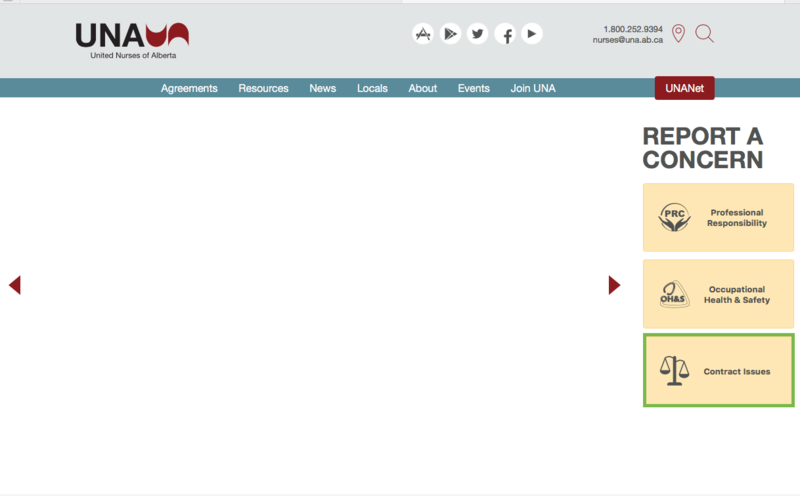 Go to the UNA web page (www.una.ab.ca) and Report a Concern is located on the right hand side of the screen, click on Contract Issue. 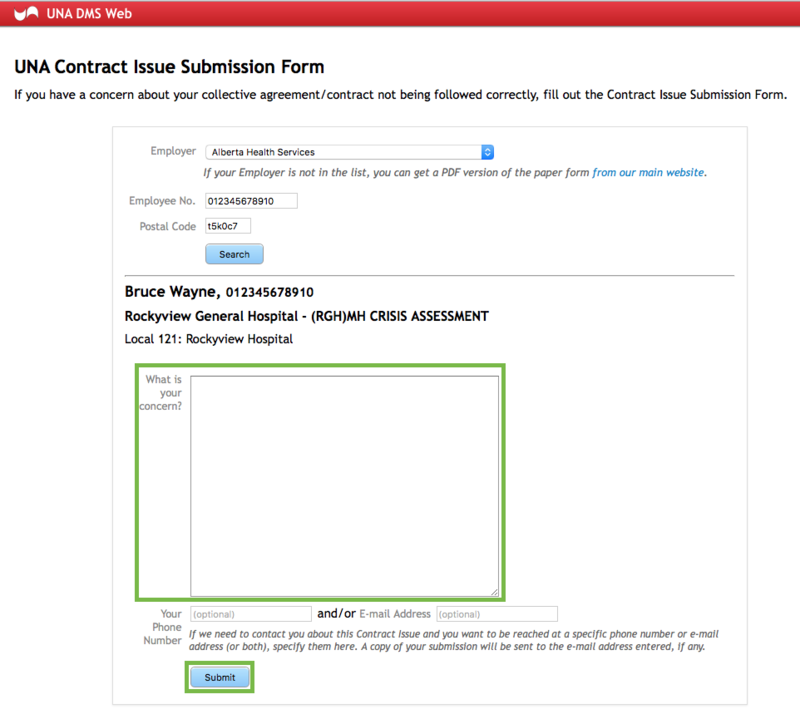 UNA Contract Issue Submission Form will open, click in the Employer field and use the drop down arrows to show the list of Employers. The next two fields to be completed are the Employee No. and Postal Code. 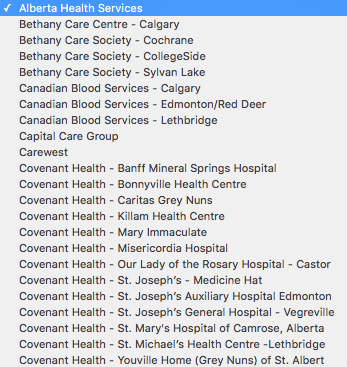 These are manually entered. This information is what the Employer has on file for you. Click on Search to continue. Now you will be able to enter in your concern. Phone Number and Email Address are optional. Once all the fields are completed, click on Submit. The next screen will show your Contract Issue was successfully submitted.